About Caliber It takes a great team to give you GREAT service. Thank you for considering Caliber Hardwood Inc. as a source of quality wood flooring services. We have been in business for twenty years and have built our reputation on good quality work done in a timely fashion. We have several crews available to service your wood flooring project. Each crew is lead by an experienced craftsman. We are able to meet the demands of small and large projects alike. Caliber is able to keep your home cleaner with our top-of-the-line dust containment system, and we have extensive experience with all types of wood flooring repairs. 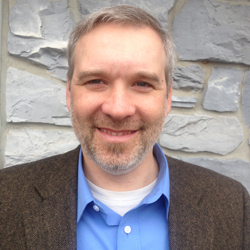 Bob is founder, general manager, and owner of Caliber Hardwood Floors, Inc. He began Caliber Hardwood Floors in 1994 (originally “Snyder Floors and Walls”). March of 2014 marks 20 years in business, and he still loves what he does! He has always enjoyed working with wood floors, and that passion continues even as Caliber has grown. Bob feels very blessed to work with his great team of people, all committed to working together to be – your hardwood flooring solution! When he's not at work, Bob enjoys spending time with his wife and children, watching the Phillies, playing volleyball, hunting, and traveling. 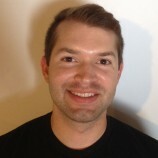 Justin is the crew leader, head technician and scheduler of installation at Caliber Hardwood Floors. He has been with the company since 2006, and has extensive experience and knowledge concerning all aspects of hardwood installation. When he’s not at work, Justin enjoys watching sports or going to a game with his twin brother, kicking back after a hard day’s work, playing volleyball, and hanging out with friends. Jared has been with Caliber Hardwood Floors since 2006. He is the crew leader, head technician, and scheduler of sand and finish. 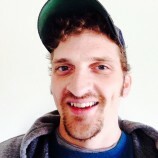 Jared is very skilled, detail oriented and knowledgeable regarding all phases of the sand and finish process. When he’s not at work, Jared enjoys kicking back and watching sports or going to a game with his twin brother, playing volleyball, and hanging out with friends. Joel has recently joined the team at Caliber Hardwood Floors full-time, assuming the position of lead estimator and bringing with him a valuable set of skills. He just graduated with an Associates degree in Business/IT, and is now studying for his Bachelors. Not long ago he was married, and currently has a child on the way. When he's not at work, Joel enjoys spending time with his wife, traveling, going to art and craft shows, tennis, and a good movie or TV show. Billy has quickly become a skilled and detailed sand and finish technician. He has been with Caliber Hardwood Floors since 2012. When he’s not at work, Billy enjoys skateboarding, playing with his dog Annabelle, creating timeless works of art, reading comic books, and watching movies. He is also a former jousting legend. 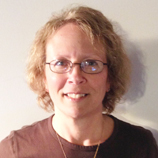 Ginni is our faithful secretary and has been employed by Caliber Hardwood Floors since 2011. She will most likely be the one who answers your call if you phone the office. When she’s not at work, Ginni enjoys spending time with her husband, 3 children, 5 grandchildren, and sisters. Her favorite pastimes include going to auctions and flea markets with her husband, as well as reading, quilting, and collecting vintage fabrics, tablecloths, and stangl pottery. 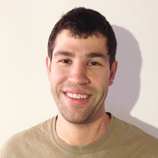 Jake is a part-time installation technician who has been with Caliber Hardwood Floors since 2012. It has not taken him long to master the art of hardwood installation, and he is a valuable member of Caliber’s team. When he’s not at work, Jake enjoys spending time with his wife and young son, graffiti art, music, and has been involved with a local ministry since 2012. 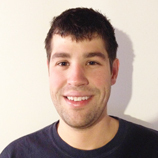 Ben has been a part-time employee at Caliber Hardwood Floors since 2010. He just graduated high school, and is working full-time over the summer. 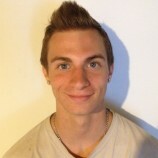 He has gained experience and skill in both installation and sand and finish, and is a valuable team member at Caliber. When he’s not at work, Ben enjoys photography, snowboarding, skateboarding, music, and spending time with friends. 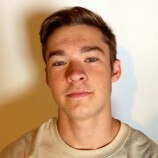 Kyle will be a senior in high school, and is working full-time at Caliber Hardwood Floors over the summer. 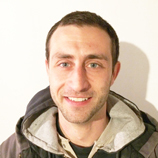 He has recently become an employee, and is in the process of being trained as an installation technician. He is a valuable addition to the team at Caliber. When he’s not at work, Kyle enjoys basketball, drums, pen tapping, and teaching others new skills.